Sparrow Records' recording artist Nichole Nordeman recently embarked on her latest headlining tour in support of her most recent release Brave. Since my first experience seeing Nichole live while she was on the touring circuits with Steven Curtis Chapman a few years back, I knew any opportunity to see this gifted artist in person was not one to be wasted. So I eagerly headed to Woodside Bible Church with peaked expectations. And, as always, Ms. Nordeman delivered exceptionally well. 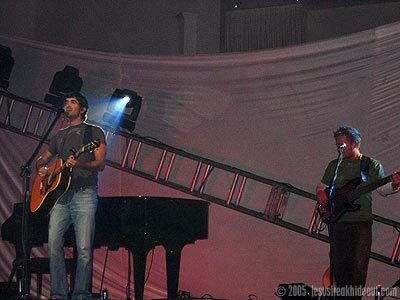 Before Nichole took her place on the stage, newcomer Aaron Shust came out showing his praise and worship stylings. With songs such as "Give It All Away" and "My Savior, My God (I Am Not Skilled To Understand)," Shust gave the crowd a glimpse into his musical vision. Undoubtedly, this worship leader's work was satisfactory to many of the evening's concertgoers. After Shust's time had finished and a brief musical interlude ensued, Nichole quietly entered and took her place at the piano. Immediately, alongside her two-piece band, she headed into the hit "Legacy," followed by the confessional "Fool for You." Between nearly every song, Nichole explained the significance behind each of the tunes, which assisted greatly in connecting with the crowd. Candidly speaking on topics such as trusting God and surrendering life's struggles led nicely into "I Am" and "Lay It Down." Shortly after, the hypothetical "What If" presented itself as one of the evening's standout numbers, with Nichole's voice soaring with conviction. Just before dismissing the audience for intermission, Nichole took the opportunity to talk about the ministry of World Vision and share a video of the organization. Calmly explaining the needs of those in third-world countries, it was evident she has a way with words-both in speech and in song. With an anticipating audience waiting, Ms. Nordeman returned with the "courage from motherhood" anthem "Brave." After a brief commentary on how our modern society views beauty, "Is It Any Wonder?" (from her debut Wide Eyed) had a perfect place. Then "Hold On" became more than simply a forgettable song. Connecting this track from Brave to a real life experience that eventually involved the suicide of someone, Nichole used this chance to encourage those hurting to continue to carry on and rely on the strength of Christ. Finally, things came to a beautiful close with her breakthrough hit "Holy" and an acapella arrangement of "Doxology." 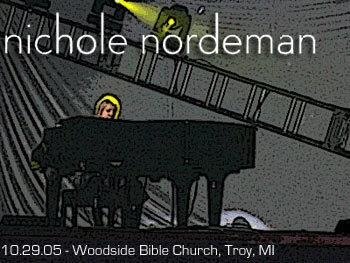 Nichole Nordeman may very well offer one of the classiest live shows in all of Christian music. Her simple, yet enjoyable, concert format is one thing that helps her stand out from so many others. 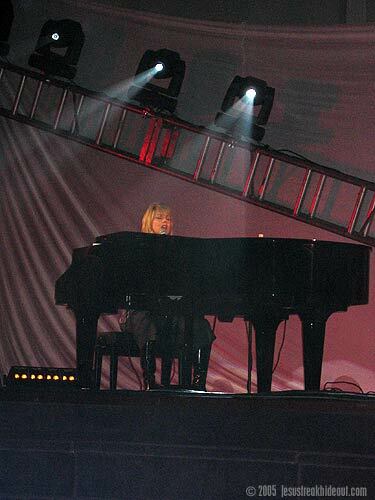 If Nichole's four studio efforts, live album, and slew of Dove Awards as well as her exceptional singing, writing, and piano playing talents are any indicator, we can expect to enjoy much more excellent work from this accomplished songstress for years to come. 09. Is It Any Wonder?